“FBI: Rahmani Linked to Bombs in New York and New Jersey,” NBC News, September 19, 2016, http://www.nbcnews.com/video/fbi-rahmani-linked-to-bombs-in-new-york-and-new-jersey-768647747830. No one was injured in the remaining three IED attacks attributed to Rahami, two of which he failed to detonate.Tom Winter, Jonathan Dienst, Pete Williams, and Chris Francescani, “Terror Timeline: The NY/NJ Bombings, From First Blast to Arrest,” NBC News, September 19, 2016, http://www.nbcnews.com/storyline/ny-nj-bombings/terror-timeline-ny-nj-bombings-first-blast-arrest-n650716. After a days-long manhunt, Rahami was found and arrested on September 19 in Linden, New Jersey, close to his parents’ home in neighboring Elizabeth.Marc Santora, William K. Rashbaum, Al Baker, and Adam Goldman, “Ahmad Khan Rahami Is Arrested in Manhattan and New Jersey Bombings,” New York Times, September 19, 2016, http://www.nytimes.com/2016/09/20/nyregion/nyc-nj-explosions-ahmad-khan-rahami.html. After engaging in a shootout with police, Rahami was taken into custody and transferred to University Hospital in Newark, New Jersey. Rahami was charged later that day with seven counts, including five counts of attempted murder of a police officer, with his bail set at $5.2 million.Marc Santora, William K. Rashbaum, Al Baker, and Adam Goldman, “Ahmad Khan Rahami Is Arrested in Manhattan and New Jersey Bombings,” New York Times, September 19, 2016, http://www.nytimes.com/2016/09/20/nyregion/nyc-nj-explosions-ahmad-khan-rahami.html. On September 20, 2016, the U.S. brought formal charges against Rahami, including use of weapons of mass destruction and bombing a place of public use.“Criminal Complaint: United States of America v. Ahmad Khan Rahami a/k/a/ ‘Ahmad Rahimi,’ defendant,” U.S. District Court for the Southern District of New York,” September 20, 2016, https://www.justice.gov/usao-sdny/file/894396/download. A notebook belonging to Rahami and discovered by law enforcement upon Rahami’s arrest allegedly included messages praising Osama bin Laden and U.S.-born al-Qaeda cleric Anwar al-Awlaki.“Criminal Complaint: United States of America v. Ahmad Khan Rahami a/k/a/ ‘Ahmad Rahimi,’ defendant,” U.S. District Court for the Southern District of New York,” September 20, 2016, https://www.justice.gov/usao-sdny/file/894396/download. “Criminal Complaint: United States of America v. Ahmad Khan Rahami a/k/a/ ‘Ahmad Rahimi,’ defendant,” U.S. District Court for the Southern District of New York,” September 20, 2016, https://www.justice.gov/usao-sdny/file/894396/download. Tom Winter, Miguel Almaguer, Jonathan Dienst, and Corky Siemaszko, “Ahmad Rahami, Suspect in N.Y. and N.J. Bombings, Charged With Attempted Murder,” NBC News, September 19, 2016, http://www.nbcnews.com/storyline/ny-nj-bombings/ahmad-rahami-identified-n-y-n-j-bombings-suspect-officials-n650306. The unexploded bomb in Chelsea also contained a cellphone that was registered in the name of one of Rahami’s family members.“Criminal Complaint: United States of America v. Ahmad Khan Rahami a/k/a/ ‘Ahmad Rahimi,’ defendant,” U.S. District Court for the Southern District of New York,” September 20, 2016, https://www.justice.gov/usao-sdny/file/894396/download. Katie Little and Christine Wang, “NY/NJ Bombing Suspect Charged with 5 Counts of Attempted Murder of a Law Enforcement Officer: NBC,” CNBC, September 19, 2016, http://www.cnbc.com/2016/09/19/ahmad-rahami-in-custody-after-shooting-police-officer-in-linden-nj-wnbc-citing-source.html. For years before the series of bomb attacks in September 2016, Rahami had shown few signs of radicalization, according to several friends and neighbors. Born in Afghanistan, Rahami and his family came to the United States in 1995 after Rahami’s father claimed asylum.Shane Harris, Nancy A. Youssef, Katie Zavadski, and Katie Briquelet, “Ahmad Khan Rahami, Accused NYC Bomber, Traveled to Pakistan Undetected by U.S.,” Daily Beast, September 19, 2016, http://www.thedailybeast.com/articles/2016/09/19/ahmad-khan-rahami-arrested-but-questions-remain-about-bombings.html. Rahami grew up in Elizabeth, New Jersey, attending local public school and residing with his family in an apartment above their family-run restaurant, First American Fried Chicken. The restaurant—a fast-food joint described in news outlets as “always open”—received a series of noise complaints from neighbors.N. R. Kleinfeld, “Ahmad Rahami: Fixture in Family’s Business and, Lately, a ‘Completely Different Person,’” New York Times, September 19, 2016, http://www.nytimes.com/2016/09/20/nyregion/ahmad-khan-rahami-bombing-suspect.html. In June 2010, two of Rahami’s brothers—identified as Mohammad K. and Mohammad Q.—were arrested after engaging in an altercation with police who had come to the restaurant to close it down for the evening. One of the brothers was not charged, while the other pled guilty to charges and paid a $100 fine.N. R. Kleinfeld, “Ahmad Rahami: Fixture in Family’s Business and, Lately, a ‘Completely Different Person,’” New York Times, September 19, 2016, http://www.nytimes.com/2016/09/20/nyregion/ahmad-khan-rahami-bombing-suspect.html. In 2011, Rahami’s parents filed an unsuccessful lawsuit against the city and its police department, accusing them of religious-based harassment and intimidation.N. R. Kleinfeld, “Ahmad Rahami: Fixture in Family’s Business and, Lately, a ‘Completely Different Person,’” New York Times, September 19, 2016, http://www.nytimes.com/2016/09/20/nyregion/ahmad-khan-rahami-bombing-suspect.html. Spencer Ackerman, Paul Owen, and Amber Jamieson, “Ahmad Khan Rahami’s Father Contacted FBI in 2014 over Terrorism Worry,” Guardian (London), September 20, 2016, https://www.theguardian.com/us-news/2016/sep/20/ahmad-khan-rahami-father-fbi-terrorism-bombing. The FBI claimed that it had conducted “internal database reviews, interagency checks, and multiple interviews” as part of its preliminary investigation, but none of the inquiries “revealed ties to terrorism.”Spencer Ackerman, Paul Owen, and Amber Jamieson, “Ahmad Khan Rahami’s Father Contacted FBI in 2014 over Terrorism Worry,” Guardian (London), September 20, 2016, https://www.theguardian.com/us-news/2016/sep/20/ahmad-khan-rahami-father-fbi-terrorism-bombing. Because Rahami was not placed on a watch list as a result of the FBI investigation, he was able to travel to the Afghanistan-Pakistan region at least three times between 2014 and 2016 without detection by law enforcement, according to U.S. officials.Shane Harris, Nancy A. Youssef, Katie Zavadski, and Katie Briquelet, “Ahmad Khan Rahami, Accused NYC Bomber, Traveled to Pakistan Undetected by U.S.,” Daily Beast, September 19, 2016, http://www.thedailybeast.com/articles/2016/09/19/ahmad-khan-rahami-arrested-but-questions-remain-about-bombings.html. Following Rahami’s return to the United States, he became noticeably more religiously observant, according to patrons at the Rahamis’ family-run restaurant. Customers noticed that Rahami started to wear more traditional Muslim clothing, sport a beard, and pray in the back of the restaurant.N. R. Kleinfeld, “Ahmad Rahami: Fixture in Family’s Business and, Lately, a ‘Completely Different Person,’” New York Times, September 19, 2016, http://www.nytimes.com/2016/09/20/nyregion/ahmad-khan-rahami-bombing-suspect.html. Though Rahami may have been radicalized to extremist ideology during his visits to the Af-Pak region, Rahami had a prior history of arrests and violence dating back to 2008. On one occasion in 2012, Rahami spent a day in jail after allegedly violating a restraining order filed against him.N. R. Kleinfeld, “Ahmad Rahami: Fixture in Family’s Business and, Lately, a ‘Completely Different Person,’” New York Times, September 19, 2016, http://www.nytimes.com/2016/09/20/nyregion/ahmad-khan-rahami-bombing-suspect.html. In another incident in 2014, Rahami spent three months in jail on charges of aggravated assault and illegal possession of a firearm after allegedly stabbing a relative in the leg.N. R. Kleinfeld, “Ahmad Rahami: Fixture in Family’s Business and, Lately, a ‘Completely Different Person,’” New York Times, September 19, 2016, http://www.nytimes.com/2016/09/20/nyregion/ahmad-khan-rahami-bombing-suspect.html. It was reportedly this violent incident in 2014 that prompted Rahami’s father to contact the FBI and request an investigation.Spencer Ackerman, Paul Owen, and Amber Jamieson, “Ahmad Khan Rahami’s Father Contacted FBI in 2014 over Terrorism Worry,” Guardian (London), September 20, 2016, https://www.theguardian.com/us-news/2016/sep/20/ahmad-khan-rahami-father-fbi-terrorism-bombing. According to reports, Rahami may have begun planning for the New York and New Jersey attacks as far back as February 2015, when he allegedly purchased the first of two flip phones used as timers for the IEDs.“Criminal Complaint: United States of America v. Ahmad Khan Rahami a/k/a/ ‘Ahmad Rahimi,’ defendant,” U.S. District Court for the Southern District of New York,” September 20, 2016, https://www.justice.gov/usao-sdny/file/894396/download. In June 2016, Rahami allegedly began purchasing bomb-related materials off of eBay, according to the criminal complaint filed against him.“Criminal Complaint: United States of America v. Ahmad Khan Rahami a/k/a/ ‘Ahmad Rahimi,’ defendant,” U.S. District Court for the Southern District of New York,” September 20, 2016, https://www.justice.gov/usao-sdny/file/894396/download. Two days before the September 17 attacks, Rahami was recorded on a family member’s cellphone lighting “incendiary materials” in a “cylindrical container,” according to the criminal complaint.“Criminal Complaint: United States of America v. Ahmad Khan Rahami a/k/a/ ‘Ahmad Rahimi,’ defendant,” U.S. District Court for the Southern District of New York,” September 20, 2016, https://www.justice.gov/usao-sdny/file/894396/download. “Criminal Complaint: United States of America v. Ahmad Khan Rahami a/k/a/ ‘Ahmad Rahimi,’ defendant,” U.S. District Court for the Southern District of New York,” September 20, 2016, https://www.justice.gov/usao-sdny/file/894396/download. On February 13, 2018, Rahami was sentenced to life in prison and five years of supervised release. He was also ordered to pay $562,803 in restitution. Rahami still faces charges in New Jersey in connection with his alleged attempts to detonate explosives in Seaside Park and Elizabeth.“Chelsea Bomber Ahmad Khan Rahimi Sentenced to Life in Prison for Executing September 2016 Bombing and Attempted Bombing in New York City,” U.S. Department of Justice, February 13, 2018, https://www.justice.gov/opa/pr/chelsea-bomber-ahmad-khan-rahimi-sentenced-life-prison-executing-september-2016-bombing-and. Ahmad Rahami“Chelsea Bomber Ahmad Khan Rahimi Sentenced to Life in Prison for Executing September 2016 Bombing and Attempted Bombing in New York City,” U.S. Department of Justice, February 13, 2018, https://www.justice.gov/opa/pr/chelsea-bomber-ahmad-khan-rahimi-sentenced-life-prison-executing-september-2016-bombing-and. 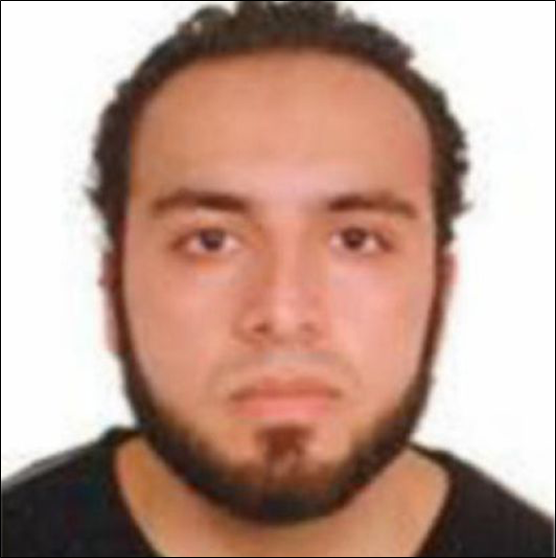 Ahmad Khan Rahimi“Chelsea Bomber Ahmad Khan Rahimi Sentenced to Life in Prison for Executing September 2016 Bombing and Attempted Bombing in New York City,” U.S. Department of Justice, February 13, 2018, https://www.justice.gov/opa/pr/chelsea-bomber-ahmad-khan-rahimi-sentenced-life-prison-executing-september-2016-bombing-and. Ahmad Rahimi“Criminal Complaint: United States of America v. Ahmad Khan Rahami a/k/a/ ‘Ahmad Rahimi,’ defendant,” U.S. District Court for the Southern District of New York,” September 20, 2016, https://www.justice.gov/usao-sdny/file/894396/download. Type[s] of Organization Not determined. Type[s] of Ideology Not determined. Place of Residence Elizabeth, New Jersey, U.S.
Ahmad Khan Rahami carried out the New York and New Jersey bombings, planted on September 17 and September 18, 2016.Marc Santora, William K. Rahami—an Afghan-born U.S.